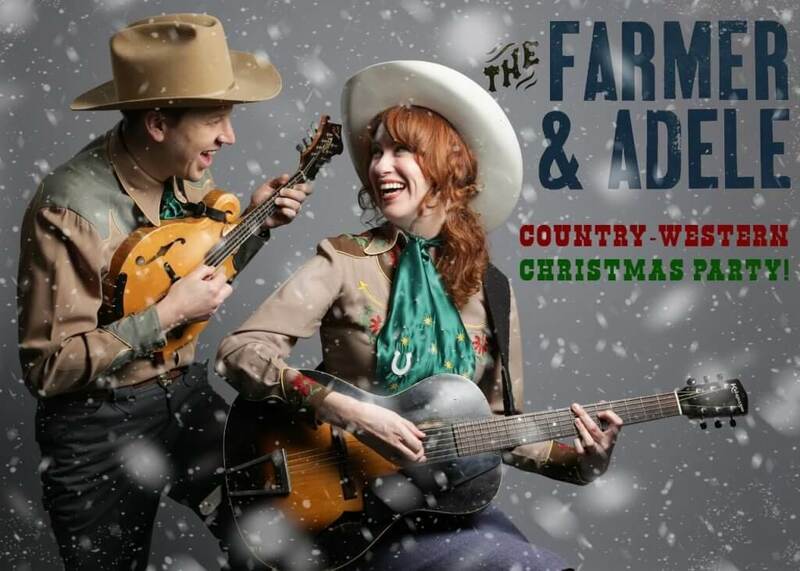 The Farmer & Adele return to Natalie’s for their annual Country and Western Christmas Party show, featuring classic Christmas tunes, original holiday songs and their own take on The Nutcracker with a western swing twist. With the sounds of classic songwriting in their music and the future in their sights, The Farmer & Adele are reimagining the modern cowboy/cowgirl while respecting its beginnings. Based out of Nashville, TN, The Farmer & Adele – led by Grace Adele and Keenan Wade – leads the pack of a new wave of musicians revitalizing western swing music. With a star-studded record, award nominations and their own morning radio show, The Farmer & Adele are a one-two punch of classic meets modern.